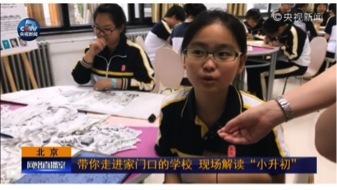 Introduction: CCTV News network team were at Beijing No.24 Middle School on May 31st 2017 for the program “visiting the school closed to your home”, where new courses were introduced with excellent examples in education. Vice director of Education Committee Ms. YOU Na, President of No. 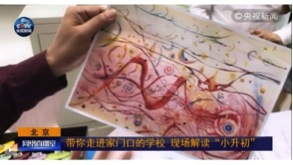 24 Middle School Mr. Niu Xiao Hua entered Art Synaesthesia Classroom with CCTV Journalist. 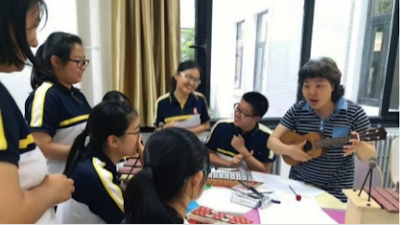 This project has been developed jointly by teacher Ms. JIANG Xin, LIU Liyun, XU Qing and ZHANG Na with Mr. Ninghui XIONG, the father of one student. 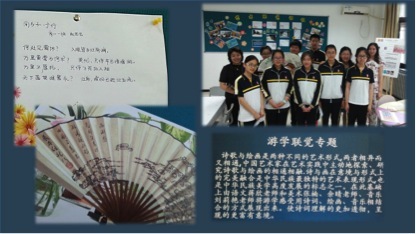 What demonstrated here were the artworks of the students inspired and created after recent activity for “travel learning” by school, including poetry, painting and music combination in a culture tradition way in China, where synaesthesia concept had been introduced. 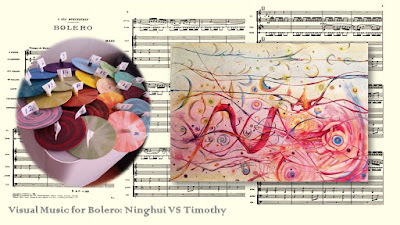 Following the theory and supported by Ninghui, the project team created a new way of education from single discipline category mode to interdisciplinary mode to combine literature, art and music together. For those students after training, their performance in “activity of travel learning to the south cities”, has demonstrated excellent result in creative sense, smart learning and good memory as an achievement shown here during CCTV interview program. 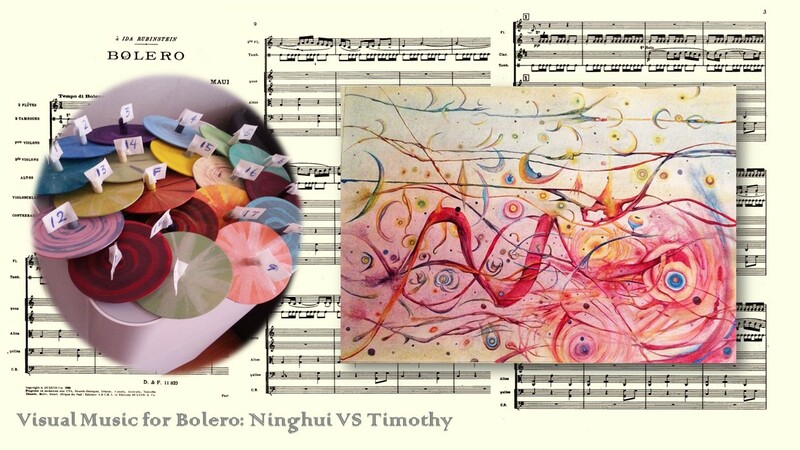 by Ninghio Xiong (left) and Timothy Layden (right).